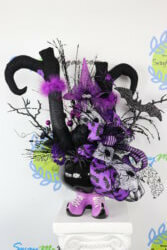 Celebrate the upcoming Halloween season with this super cute and whimsical centerpiece. 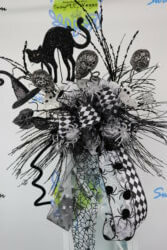 This one of a kind ceramic witches cauldron is filled ..
Day of the Dead Halloween Wreath, Sugar Skull Wreath. 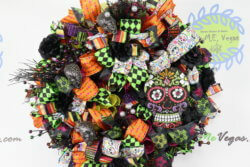 This Halloween day of the dead wreath is overflowing with colorful goodness!! 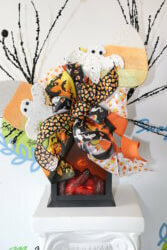 It is created ..
Whimsical Halloween Candy Corn Swag and Lighted Lantern. 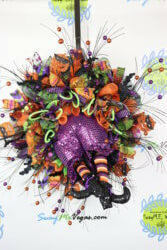 This Whimsical Halloween Lantern Swag and lighted features a handmade bow made ..
Halloween Sugar Skull Lantern Swag. 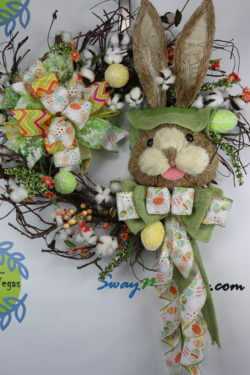 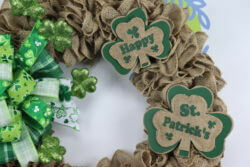 This one of a kind Day of the Dead Lantern Swag features a handmade bow made with 4 wired ribbons, black ..
St Patricks Day Burlap Wreath Celebrate the Luck O’ The Irish with this ruffled burlap wreath. 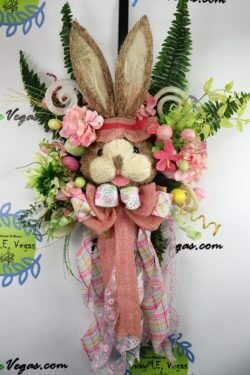 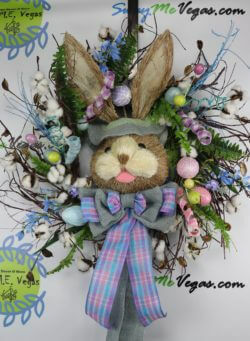 This wreath is made on an 18″ ..